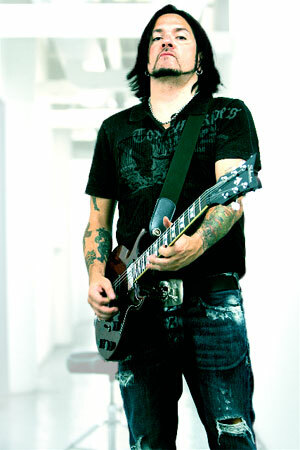 Before opening for Fear Factory at the Worcester Palladium on June 4, 2010, Prong guitarist, vocalist, and sole remaining founding member Tommy Victor talked with us about the short tour, fun stories on the road, the legacy of Prong, and his experiences playing with Danzig on the side. MPJ – How was the tour? TOMMY – It’s almost finished already! We only did three weeks; it’s been hectic, but it’s been good, though. We just need to be out there more than we used to be, so any opportunity that we have, we’ve taken. MPJ – Even though it’s only been a short tour, what has life been like on the road? TOMMY – Well, the only thing I can say is that right off the bat, I got completely wasted. Dino [Cazares, Fear Factory guitarist] thought I peed my pants, but I hadn’t; so they just threw water on me instead! Really, it’s just been work. A lot of hard work on this tour. MPJ – You’ve come a long way since Prong gained popularity in the early days of “Headbangers’ Ball.” How would you rate your experience since then? TOMMY – I always recall that when we first got signed to Epic [Records], and we talked to our lawyer at the time, we were all happy…but he told us, “Now the nightmare begins!” (everyone laughs) We were like, “What is he talking about?” It seemed like up until that point, when we were an indie band we were playing for fun and we were going out and doing on weekends, et cetera, it was much more of an enjoyable experience. Once you become professional, though, it’s a job a lot of times. Everyone once in a while, there’s a highlight, and you’re like, “Wow, this is pretty worth it!” But to be honest, for the most part, you’re like “Arrghh!” You’re struggling, and wondering where you’re going with this. It’s a combination of both, but it’s been a great career. I never thought I’d be doing it this long, and it’s always challenging. There’s always new things to conquer, musically and personally. MPJ – Prong split up in 1997, but returned a few years later. What brought you the band back? TOMMY – I was writing songs and I had a demo for another band, but it was a combination of lack of interest for a new project, and the fact that I figured we had worked eight or nine years at that point to build up the Prong name, so why not keep using it? MPJ – Your most recent album “Power of the Damager” was later remixed by other artists and released as “Power of the Damn MiXXXer.” How involved were you with the remix process? TOMMY – Giving it a “yea” or a “nay,” and then giving direction, where I wanted some of the stuff. We went through this long process; there were a couple of guys that were involved initially that I was just unhappy with, and they were going to do the whole thing. So I said, “Listen, why don’t we get different guys to do individual mixes?” I just threw a bunch of names out there, and we’d see who would do it. Then we got more people involved, and they were submitting mixes…it was more work than I thought it would be! I wanted to have some sort of quality control; it was a little uncomfortable doing a remix record anyhow, so I wanted to make sure it was all okay. There was a couple of songs that I had to sort of go, “Okay, let that one fly,” but for the most part, I really like what came out on that thing! I gave final approval on the stuff, and gave a couple of guys direction on where to go. MPJ – How’s the new material coming along? MPJ – Where do you see Prong’s music going in the future? TOMMY – I’d like it to be more stylized. We did the “raw” record with “Power of the Damager,” our last one. I’d like this next one to have some of that, and have the intensity of it, and have some real barn-burners: some really fast stuff and some cool punky metal stuff. I’m still looking for some really classic songs, you know? Something that breaks the barriers of metal and thrash. Whether people listen to it or not, I can’t really help, but I don’t think Prong is a strict thrash metal band. I like to explore it to the best of my ability. MPJ – What’s been your experience playing with Danzig? TOMMY – It’s still ongoing. There’s a lot of ups and downs, like in any relationship. Right now, we get along fantastic. [Glenn Danzig] is a lot of fun, but there’s other periods where he and I have butted heads a little bit, but Glenn’s his own guy, and you sort of have to work within that realm. We’re doing a couple of shows after this, and then I’m going to work on the new Prong record. I’m continuing to work with him, though I’ve been fired a couple of times, and quit a couple of times! (laughs) We’ve gotten into some disputes, but right now, we’re pals. MPJ – Anything else you’d like to say to your fans? TOMMY – Keep an eye out for the next record! We may go out again in October, so keep an eye out for that. The next record should be out by February of next year. Thank you very much! Tommy Victor is the best! Looking fwd to the new album in ’14, keep up the great work!